You are here: HomenextTopicsnextPeoplenextA notorious Essex murder. Dr Lovell's Morris Cowley stolen from Billericay. Seen here at Brixton Police station, notice the damage to the mudguard. 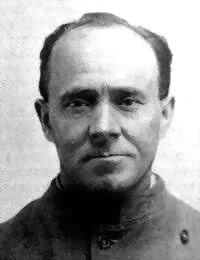 Frederick Guy Browne also known as "Leo Browne"
The murder of Essex Police Constable George William Gutteridge, was a national sensation, and made history as an early example of a conviction obtained with ballistic evidence. 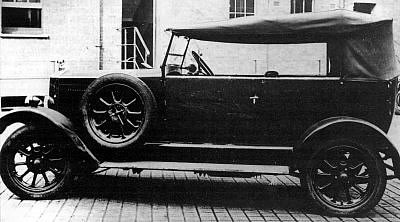 The tragic events start in Billericay on Monday 26th September 1927 at 7:30 pm, when Dr Edward Lovell, a local GP returned to his home “Shirley” in London Road, and drove his blue Morris Cowley registration TW6120 into it’s garage and locked the doors, although he had left some medical apparatus and drugs on the front seat, he retired to bed around midnight. The next day he discovered that the garage doors had been forced open and his car was missing, he reported it stolen to the police. In fact by then it had already been found abandoned some 42 miles away in a narrow passage behind 21 Faxley Road, Brixton. Dr Lovell’s neighbours remembered the sound of a car being started at about 2.30am and driving off along Mountnessing Road. PC George Gutteridge had returned home from duty on 26th September, at 6pm. After an evening in with his family he resumed his duty at 11pm and left his home, later he was to meet his opposite number, Police Constable Sydney Taylor, who was stationed at Lambourne End. The officers met as planned at a conference point at Howe Green on the B175 Romford to Chipping Ongar road, before George Gutteridge left for the mile walk home at 3.05am. He never made it. At about 6am Postman William Alec Ward, dropped mail at Stapleford Abbots post office. He then continued along the Ongar road, over Pinchback Bridge towards Stapleford Tawney. As he negotiated a bend in the road just before Howe Green he saw an object by the roadside. When he drew closer he realised it was the body of a man, in a semi-sitting position against the grassy roadside bank, with the legs extended out into the road. To his horror Ward recognised the body as that of PC George Gutteridge. Mr Ward went to Rose Cottage at Howe Green, where Alfred Perrit lived to summon help. A passing bus driver Mr. Warren was stopped and asked to go to Havering police house, meanwhile Mr. Ward drove to Stapleford Tawney post office to telephone the Police HQ at Romford. But when he tried to telephone the news, the exchange operator quibbled about the telephone fee of a few pence and only after vital time was wasted was he able to contact Police headquarters at Romford. The lack of telephones in the area, and the difficulty in contacting the Police, was decried at the subsequent trial, and helped towards the establishment of the 999 emergency service. An examination of the body showed that on the left side of the face just in front of the ear there were two entry wounds, and on the right side of the neck, two exit wounds. In addition, each eye had been shot away by two further bullets. PC Gutteridge lay grasping a pencil stub while nearby his notebook lay in the road. His truncheon was still in the pocket where it was usually kept, as was his torch, it seemed as though he had stopped a vehicle and was taking notes, some recent tyre marks on the road meant that from the outset, his murder was connected to the only other reported crime in the area that night, the theft of Dr Lovell’s car from Billericay. 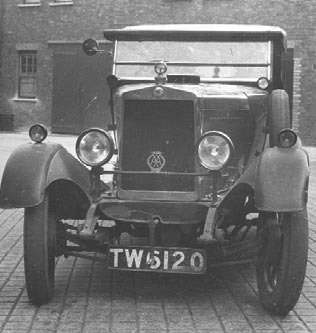 Police Investigations would provide witnesses who had heard a car passing by in the early hours, along the route from Billericay to the murder scene; cars being still a rarity in rural Essex of the 1920’s. Police Constable George Gutteridge was born in Downham Market, Norfolk in 1891. He joined Essex County Constabulary in April 1910 and served as constable 489. After a month’s training at Headquarters he was posted to Southend. He subsequently served at Romford and Grays, before resigning in April 1918 to join the army where he served for 10 months in the Machine Gun Corps. (By coincidence one of George Gutteridge’s murderers was later represented by the solicitor Oscar Tompkins, who was George Gutteridge’s company commander). 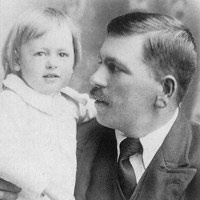 George Gutteridge was married to Rose Annette Emmerline and the couple lived at 2 Towneley Cottages, Tysea Hill, Stapleford Abbots with their two children, Muriel and Alfred (known as Jack). The brutal killing of PC Gutteridge shocked the nation, and within a few hours Scotland Yard were called in. Chief Inspector James Berrett, an experienced detective was put in charge of the case. At the scene two .45 bullets were prized out of the road surface and at the subsequent post mortem on PC Gutteridge two more bullets were recovered. Meanwhile the stolen car of Dr Lovell was searched and an empty .45 calibre cartridge case, marked “RLIV” was found on the floor, this was Identified as being an obsolete black powder cartridge made at the Royal Laboratory Woolwich Arsenal, for troops during the First World War. There was also blood on the running board. The search for the persons responsible continued apace, but it was not until January 1928 that a tip-off from a convicted car thief implicated a certain Frederick Guy Browne, who had boasted to him of his involvement in the shooting. He was already known to the Police and had convictions for carrying firearms, stealing motorcycles and cars, fraudulently claiming insurance on them, and his particular speciality; robbing railway stations. He also owned a garage business in Clapham. The Metropolitan Police kept watch on Browne, and he was arrested on a charge of stealing a Vauxhall car. He was found in possession of a number of loaded firearms, and In Browne’s home the police found the surgical instruments stolen along with the Dr Lovell’s Morris Cowley, these were Identified by Dr Lovell as belonging to him. 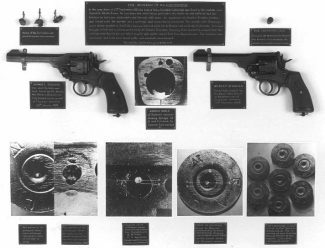 The firearms found included two .45 calibre Webley revolvers loaded with the same “RLIV” cartridges as had been found in Dr Lovell’s car. A further suspect was William Kennedy, a known associate of Browne. Kennedy had deserted, or been dismissed from several Army regiments, and had convictions for indecent exposure, housebreaking, theft, and drunk and disorderly behaviour. 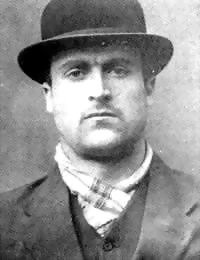 He had fled London and returned to Liverpool, where he was well known to the Liverpool City Police. Observations were kept on an address and he was eventually arrested, but not before he tried to shoot a police officer attempting to arrest him. It was only the fact that the gun jammed that saved the officer’s life. Kennedy was brought to London where he was interviewed by Berrett and admitted being present at the murder, but implicated Browne as the man who had killed George Gutteridge, he stated that Browne had stooped over the prone body of the dying Policeman and said “what are you looking at me like that for?” before shooting him deliberatly through each eye. Browne was to deny any involvement in the murder right from the start, but a damming piece of evidence had been found. 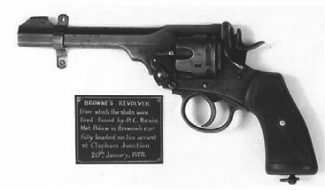 Ballstics expert Robert Churchill examined the weapons recovered from Browne and was able to prove, by the use of the comparison microscope, that the empty “RLIV ” cartridge case found in Dr Lovell’s car, had been fired from one of the Webley revolvers found in Browne’s possession. His only defence to the evidence was that he had obtained the gun from Kennedy after the murder had occurred. Both men appeared at the Central Criminal Court, before Mr. Justice Avery, and evidence was heard from some forty prosecution witnesses, including four ballistics experts. It was through the use of photographs that Churchill proved to the court that the markings on the cartridge case matched those on the revolver. It was alleged that the two men had travelled from London to Billericay by train specifically to steal a paticular car that had been earmarked by Browne, but they were thwarted by a barking dog, instead they broke into the garage of Dr Lovell and stole his car. Their erratic driving in the early hours along unfamiliar Essex lanes in order to return to London undetected, via an indirect sparsely populated route, had brought them upon PC Gutteridge, who had flagged them down, and unhappy with their explanations was taking notes, when he was cruelly murdered. Both men were convicted and sentenced to be hanged. Such was the public interest in the case, that even author and playwright George Bernard Shaw wrote to the home secretary to plead clemency for the two convicted men, however, they were both hanged on the 31st May 1928, Browne was hanged at Pentonville Prison while? on the same morning Kennedy was executed at Wandsworth. Kennedy had admitted his part in the killing, but Browne went to the gallows protesting his innocence. Subsequent researches have suggested that Browne, who’s wife and their landlady did provide an alibi, may indeed have been innocent, and that Kennedy may in fact have acted alone, we will never know. “In proud memory of George William Gutteridge, Police Constable, Essex Constabulary, who met his death in the performance of his duty on September 27th 1927”. The bullets and Webley revolver used to kill George Gutteridge are in the Essex Police Museum, whilst other exhibits relating to Browne and Kennedy are in the Black Museum at Scotland Yard. A memorial stone was erected close to where George Gutteridge was murdered on the Romford to Chipping Ongar Road. The alignment of the road has been changed since 1927 and a short stretch of it has been renamed Gutteridge Lane. This article was based on Essex Police’s History Notebook Number 19 ‘The Silent Detective’, by Martyn Lockwood.